There were 187 objections and an opposing petition with 1787 signatures. One letter was in favour! The recommendation for refusal is not a surprise given the vast community opposition. What is a surprise is some of the nonsense and misleading statements contained in the officer’s report. The height, form, scale and design detail of the building is not sufficiently resolved and therefore the proposal does not appropriately respond to the existing low rise heritage character of the area or the preferred character envisaged as part of Schedule 10 of the Design and Development Overlay.  Demonstrates architectural design excellence. The Victorian Civil and Administrative Tribunal (VCAT) has also issued decisions, stating that departures from the preferred height limit should not be treated as expected, but rather only in exceptional circumstances such as those outlined above (Boneng (Portman) Pty Ltd v Monash CC  VCAT 797). Glen Eira’s ‘objectives’ for this precinct is simply – To encourage developments in urban renewal areas and on strategic sites that provide a significant benefit for the Elsternwick community. The applicant’s own Urban Design Strategy prepared by MGS Architects does not support a building height of 14 storeys. Rather, it identifies that a 12 storey height limit should be adopted. This is more towards what is suggested as being the appropriate height for this strategic site and recognises the community benefit contribution included as part of the proposal. What is not acknowledged here is that council’s resolution of February 2018 designated this area as suitable for a 6-8 storey building. Wynne gazetted 10 storeys. There is no excuse therefore for the comment that at even 12 storeys this is ‘more towards what is suggested as appropriate’. 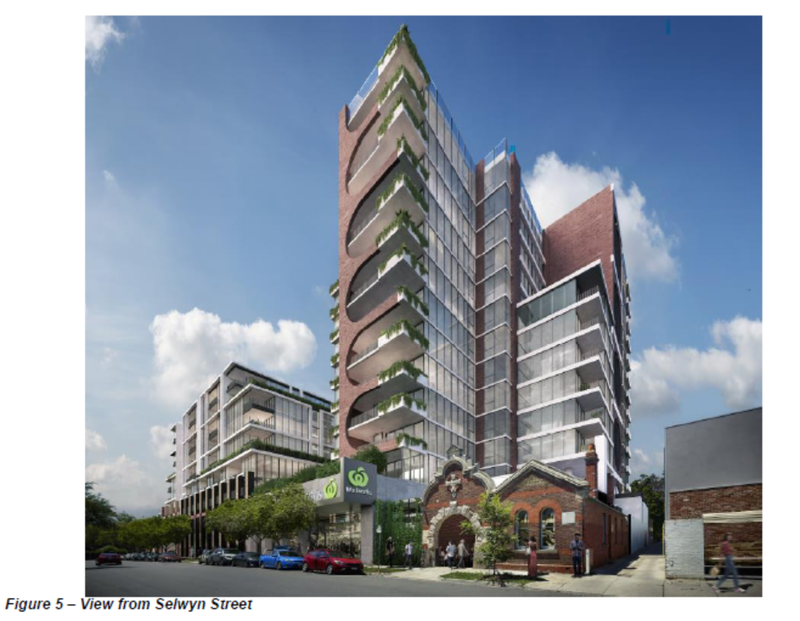 When this goes to VCAT will council cave in on 12 storeys or will they fight this tooth and nail? There are plenty of other issues such as traffic, heritage, overshadowing, setbacks that we will refrain from commenting upon. All in all this application was doomed to failure and will certainly test council’s commitment to the community once this ends up at VCAT. Organisers of petition and walk deserve real credit. Well done guys because I reckon without this massive dissent then our councillors would have given a permit for twelve stories. All credit to the organisers a job well done. Don’t underestimate the very supportive role of our local council. They didn’t listen to the structure plan feedback and have delivered controls that allow for large scale over-development in Elsternwick. Not at all convinced Colin. Can see another hand-ball job to VCAT with Council hiding behind the fact that the controls they put in place aren’t strong enough to make a difference. Next Tuesday will just be a smokescreen.